If the boys have to hear us tell our ‘buying the new house’ story one more time, their eyes may roll completely up into their heads and stay that way. It’s just not something that’s engaging to them. But, when asked about what they’re up to, they don’t seem to want to talk about themselves. There’s a lot of shrugging and vague answers, even to pretty good questions like “what games are you playing?” This may be something we have to work on in the future. Unfortunately, though, a lot of catching up with friends is hearing about lives the boys are just not that interested in. Especially if that chat involves us just sitting there, you know, and just talking. They have no shared experiences with someone I worked with at Toys R Us. They don’t remember someone their mom met at baby classes. They have little interest in topics like dating douchebags, the complications of moving or how Joe got lost for the billionth time. As they get older, I suspect they’ll be able to engage in adult conversation, something I still struggle with, but for now, it’s just too, well, boring. In truth, it’s not so much they hate talking about stuff they’re interested in, it’s that they hate listening to stuff they’re NOT interested in. And right now, that interest is pretty narrow. Video games, farting, dogs and, for the youngest, hockey. I’m trying to remember back to when I was a kid. I don’t recall talking to adults much. My brother and I were always welcome, but I remember having little love for hearing how tall I’d gotten or how cute I was or having to talk about what I did in school. 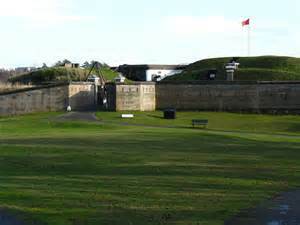 Plus, if the trip to Fort Rodd Hill taught me anything, the boys will talk when doing something else. Simply sitting and looking someone in the eye and chatting is just so… weird. However, while walking or after coming down from climbing a wall or nearly being blown into the sea by hurricane force winds, then all they get all chatty. Then they’re all keen to share their observations and their experiences. 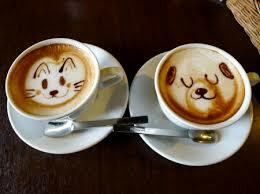 But this visit was just a nice coffee shop chat in revitalized Langford with a funny and amazing friend of mine. I had no expectations that the boys would want to be a part of that. So we geared them up with electronics and they sat in comfy chairs and played quietly by themselves. They didn’t make a fuss. They didn’t complain. They didn’t even fight with each other. They were perfect gentlemen battling something in Zelda or beating up another clan in Clash of Clans, and that allowed us to catch up with a wonderful friend. It ended earlier than we would have liked, but shouldn’t all visits leave you wanting more? We went off to our next destination and what was to become the highlight of the trip. Because Sunday night is game night and we were going to visit a person who LOVED games. Was that the best thing to do with the kids? Should we have fed them coffee? What other things have you done to keep the kids amused while you have adult conversations? This entry was posted in Blogging, Parenting, Travel, Traveling with Kids, Victoria, writing and tagged coffee chats, fort rodd hill, langford, the prettiest-girl-in-the-world, Traveling with children. Bookmark the permalink.